Israel has announced that it will soon withdraw its forces from the Lebanese half of a village that is located astride the Lebanese-Syrian border. Israeli troops have occupied and administered the city since the area was seized during the Six Day War in June 1967. The northern half of the city is in Lebanon, and the southern half is in Syria adjacent to the Golan Heights. Israel withdrew its forces from southern Lebanon in 2000 after an 18-year occupation. As part of United Nations Security Council Resolution 1559, Lebanese militias were to disarm once all foreign (read Israeli but not Syrian) forces had pulled out of the country. All of Lebanese various armed factions abided by the agreement with the notable exception of Hizballah. 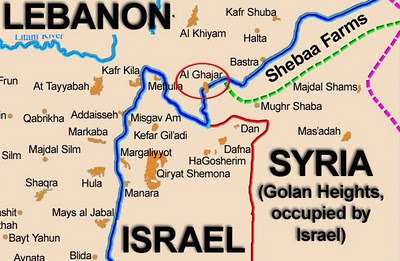 Hizballah maintained that Israel's continued occupation of the northern half of al-Ghajar, clearly in Lebanon, and an area nearby called the Shaba' Farms, constituted a violation of UNSCR 1559 and thus provided legal justification for the Iranian and Syrian-backed Shi'a group to maintain its militia. The Shaba' Farms claim is ludicrous, but allows Hizballah the myth that Israeli forces are still occupying portions of Lebanon. On virtually any credible map, the Shaba' Farms are clearly part of Syria - occupied since 1967 by Israeli troops, but still part of Syria. Even the United Nations agrees that the Farms are part of Syria. Syria claims to have ceded the Farms area to Lebanon years ago, yet no reliable documentation exists. In fact, Syrian military maps clearly show the area to be in Syria. The assertion that the area is Lebanese is a charade that allows Hizballah to claim that Israeli troops are still in Lebanon. It's Hizballah's fig leaf - see my earlier article, The Shaba' Farms - Hizballah's Fig Leaf. The situation with the Shaba' Farms does not change with the Israeli withdrawal from al-Ghajar, but it removes one more excuse that Hizballah uses to maintain its militia. 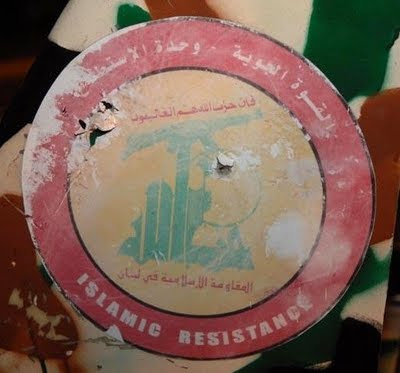 The Lebanese government recently officially authorized Hizballah to use its militia - they use the term "resistance" - against the continued "Israeli occupation" of Lebanese land. Israel should have withdrawn from the Lebanese side of al-Ghajar years ago, as I urged - Hey Israel, give Ghajar back to Lebanon. Israel's withdrawal also brings them into compliance with UNSCR 1701 (see my earlier article UNSCR 1701 - Deferment of the Problem) which ended the fighting between Hizballah and Israeli forces in 2006. Under that agreement, Lebanese forces were to take up positions in southern Lebanon, and Hizballah was to be disarmed. Neither has happened. Despite American and UN beliefs that Israel's withdrawal from al-Ghajar will ease tensions between Israel and Lebanon, it will have no real impact. As long as Lebanon and Syria perpetuate the myth that the Israeli-occupied Shaba' Farms are part of Lebanon and not part of Syria, Hizballah will maintain its militia. Anyone who believes that Hizballah is going to voluntarily disarm does not understand Lebanon. Israel is making a meaningless gesture. I was asked by Basil & Spice director (and friend) Kelly Ja'don for my thoughts on profiling, in the aftermath of the Christmas terrorist incident. 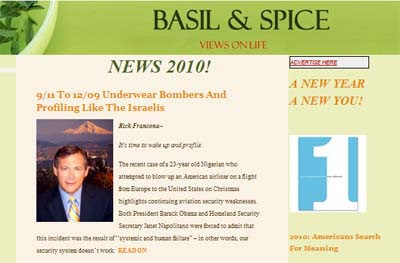 Click here to read the article at Basil & Spice. Anyone who reads Middle East Perspectives is aware of my critical view of President Obama's policies on the nuclear issue in Iran, and the wars in Iraq and Afghanistan. I think he is making some serious errors in his prosecution of the wars and his constant willingness to ignore the fact that Iran is not interested in serious negotiations that will end its quest to develop a nuclear weapon. That said, he has made some excellent decisions about attacking al-Qa'idah wherever we find them. I wrote an earlier piece in support of the President's decision not only to continue but escalate the Bush-era drone-launched missile attacks against al-Qa'idah targets in Pakistan (A sound Obama policy - missile strikes in Pakistan). On December 18, the President ordered air-launched cruise missile strikes against two al-Qa'idah targets in Yemen. The strike was conducted in cooperation with the Yemeni government. This in itself is interesting. Up until just recently, the Yemeni government has had little interest in confronting al-Qa'idah, almost to the point of complicity. (See my 2008 article, Yemen - state sponsor of terrorism?). However, once it became clear that the new influx of al-Qa'idah militants from Afghanistan, Pakistan and Saudi Arabia were a threat to one of the most corrupt governments on the planet, President 'Ali 'Abdallah Salih decided that action was necessary. The change of heart is a repeat of what happened in Saudi Arabia. Prior to 2004, the Saudi government turned a blind eye to the al-Qa'idah presence in the Kingdom - remember that 15 of the 19 September 11 hijackers were from Saudi Arabia. After a few lethal jihadist attacks on foreign workers and more importantly, the Kingdom's oil infrastructure, Saudi security forces more than decimated al-Qa'idah, forcing the surviving members to flee to Yemen. Now it's Yemen's turn to take on the jihadists. Whereas Saudi security forces are very capable, Yemeni security forces are not - thus the request for American assistance. The two targets hit by American missiles were described as a suspected al-Qa'idah training camp north of Sana' and a "location where an imminent attack against a U.S. asset was being planned." 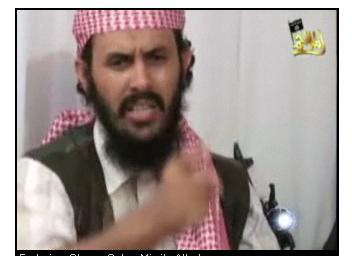 Unfortunately, one of the intended victims, al-Qa'idah in Yemen commander Qasm al-Raymi (above), escaped. One has to wonder whether the targets were identified by Yemeni intelligence, or by U.S. intelligence. 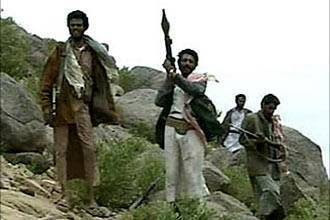 Yemeni intelligence has not been reliable, especially when it comes to al-Qa'idah. These targets are located in areas that are virtually under al-Qa'idah control and the Yemeni military is loath to operate. The choice of weapon is also interesting. 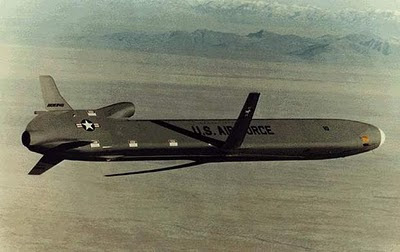 Air launched cruise missiles - like the one pictured above - are much larger and lethal than the smaller Hellfire missiles carried on CIA and USAF unmanned aerial vehicles. The smaller Hellfires were used at least once in Yemen in a CIA operation to kill al-Qa'idah leaders in late 2002. The use of the cruise missiles, normally carried by Air Force bombers, represents a welcome escalation in the war against al-Qa'idah. These strikes are exactly what we should be doing to attack and eliminate al-Qa'idah, wherever they are. They are not in Afghanistan, nor are they likely to return there. There are remnants in Pakistan, who are being dealt with cooperatively by Pakistani forces and targeted CIA missile attacks. 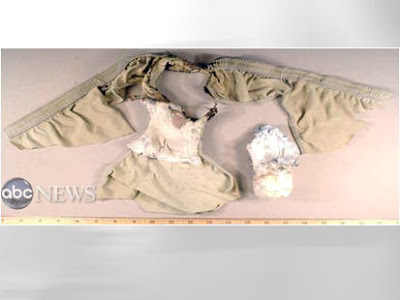 The remnants that were in Saudi Arabia have either fled or are being hunted down by Saudi security forces. Survivors have fewer places to run - it used to be Yemen and Somalia. If we continue to work with the Yemenis, we can deny them safe haven there, almost forcing them to relocate to Somalia. Somalia may well be the next front on the war against al-Qa'idah. In any case, it's not Afghanistan. WARNING: DO NOT UNDERESTIMATE THIS MAN. He has thus far out-politicked two American administrations, the United Nations and the European Union. While in Copenhagen for the climate change conference, Iranian President Mahmoud Ahmadinejad - besides bashing the United States for all the world's ills - continued his successful strategy for dealing with the issue of his country's nuclear weapons program. 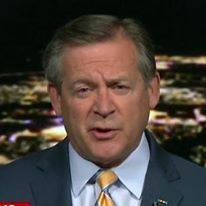 Yes, a nuclear weapons program - I am not aware of anyone who seriously believes the Iranian regime's claims that their nuclear program is for the development of electric power generation capability. 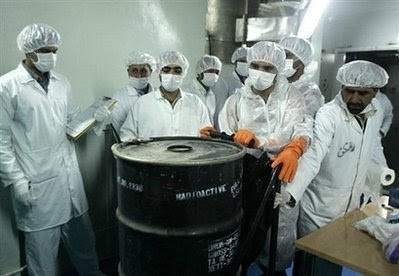 As I predicted when the Iranians "agreed" in October to export their low-enriched uranium to be processed in Russia and France into fuel rods - and not by the Iranians into weapons grade fissile material - the "done deal" fell apart. There never was a deal - there was only an Iranian statement. As soon as the talks ended, the Iranian government rejected the proposal, making the parties on the other side of the table look impotent. That group consisted of the five permanent members of the United Nations Security Council (US, UK, France, Russia and China) plus Germany, called the P5+1. Making the rejection appear to be an internal Iranian government debate was a clever ruse. 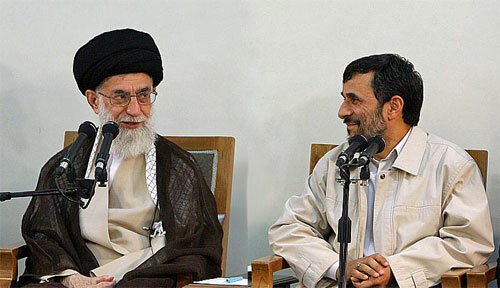 There are only two people that count in Iranian politics - Supreme Leader Ali Khamenei and President Mahmound Ahmadinejad, and in that order. 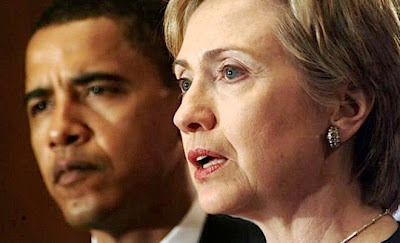 Iran would not have a nuclear program without the direct involvement of these two officials. 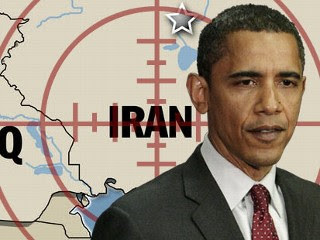 It is a key priority for them to elevate Iran to the status of a nuclear armed nation. They have no intention of abandoning that goal. To that end, Ahmadinejad will say whatever is necessary to advance the program. Advancing the program now means staving off effective sanctions on Iran. That involves seeming to agree to talks with the P5+1 or the EU, all the while delaying the imposition of sanctions. Ahmadinejad is also trying (successfully) to cultivate a special relationship with China. China is the key to effective sanctions, and thus far the Chinese have been reluctant to abandon diplomacy (basically that is talking) in favor of action. Just when we approach another artificial American deadline of the end of the year, and an EU artificial deadline next month, Ahmadinejad once again raised the possibility of an agreement if only the United States and the West "respect the Islamic Republic and stop making threats." It is important to note that if these conditions are met, Iran is willing to, yes, talk about an agreement. That agreement will not include exporting Iran's low-enriched uranium. This all sounds ludicrous, but Ahmadinejad has successfully evaded effective, coordinated sanctions for years. All the while, he talks about agreements, yet there is never anything more to these agreements than an agreement to future talks. I wonder how long the Obama administration is going to be outsmarted by this guy. Obviously, Ahmadinejad has no intention of striking an agreement that curbs his nuclear ambition, so why are we continuing this kabuki dance? I would publicly state to Ahmadinejad that the United States will not permit Iran to develop a nuclear weapon. If that sounds a bit imperialistic, so be it. We cannot live with Iran in possession of nuclear weapons. Not only are we unsure of what they will do with that capability, but it is not certain they would not supply a weapon to its client terrorist groups - Hizballah, Hamas, Islamic Jihad to name a few. Do not think this is too far-fetched. Ahmadinejad has often spoken of hastening the return of the Mahdi, the 12th imam of Shi'a Islam - in other words, Armageddon. 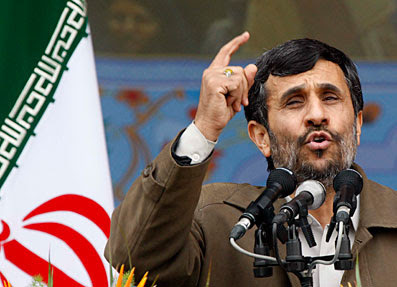 This is not rhetoric - Ahmadinejad is a true believer, and true believers can be dangerous. We should not underestimate this man. We should be seeking his - and Khamenei's - demise. This death and devastation is what you get when you tell the enemy the date when you will withdraw your troops. It was a mistake in Iraq - 127 dead in one day - and it is a mistake in Afghanistan. Setting a date certain for leaving the fight is a bad idea - it almost guarantees an outcome less than victory. This concept is not new, nor is it rocket science. It is, however, irresponsible and dangerous. Expect the scene above to continue in Iraq, and expect it to begin in about 18 months in Afghanistan. I don't know who the President is listening to for military advice, but I suspect that it is some political hack that has never worn a uniform or heard a shot fired in anger. I keep wondering where is General Jim Jones, the alleged national security advisor - surely he knows better. The former commandant of the Marine Corps should be telling the President that his seemingly unwavering commitment to begin the withdrawal of American forces from Afghanistan in June of 2011 is a bad idea. Withdrawal of troops should begin only when the mission has been accomplished. Of course, much of that depends on how you define mission accomplishment. For those of us who have worn a uniform and heard a shot fired in anger, it means victory. I used to believe that the President had trouble using the word victory, however, I am starting to believe that he has trouble with the actual concept of victory. The President has taken the first step - he made the decision to augment American forces in Afghanistan. Personally, I question the wisdom of a counterinsurgency strategy versus counterterrorism, but in any case, he has made the decision. We can debate whether his stated goal of defeating al-Qa'idah is reasonable, given the fact that most of al-Qa'idah is no longer in Afghanistan, and the Taliban is not a threat to American interests. Obama's acceptance speech at the Nobel ceremony was another good step. I am sure he ruffled the feathers of the pacifist Europeans - another good step. One might get the impression that the President was on the road to recovery and actually becoming the commander in chief in more than just name. Then, he fell off the wagon and reiterated his commitment to the 18-month timetable for withdrawal. If the President continues with this policy, we are setting up Afghanistan for the type of continuing internecine violence we see now in Iraq. Al-Qa'idah in Iraq waited patiently until the more-capable American forces withdrew from the cities and turned over security duties over to Iraqi units, then began a series of attacks hoping to restart the civil war with the Shi'a majority. Thus far, they have failed, but have killed thousands of Iraqis and highlighted the fragility of the Iraqi government. The Taliban understands the concept as well. They will wait out the Americans, just as the Afghans have waited out invaders before. At least this time, they know exactly how long they have to wait. In June 2011, this latest set of invaders will declare victory and start to return home. Come on, General, explain to the President what a bad idea this is. I am making an exception here for two reasons. I was intimately involved in the reportage at NBC News (NBC News, CNBC and MSNBC) of Saddam's capture, subsequent trial and execution. The other reason is that the author, Dr. Mark Green, will donate a portion of the proceeds to my favorite charity - the Wounded Warrior Project, as well as to the Night Stalker Association and the Bay Medical Foundation. Dr. Green, before becoming a physician, commanded a rifle company in the 82nd Airborne Division. As an Army physician, he was the American medical officer who examined and spoke with Saddam Husayn that night. 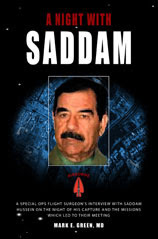 The book is A Night with Saddam - A Special Ops Flight Surgeon's Interview With Saddam Hussein On The Night Of His Capture And The Missions Which Led To Their Meeting. Read more at Dr. Green's website. "There was very little interrogating going on at this late hour in the battlefield interrogation facility (BIF). Most of the intelligence people wanted Saddam to rest prior to their intense questioning. The dignitaries and senior commanders had visited him and were now gone. About this time, around midnight, the physician assigned to the BIF left. One of the senior intelligence officers recognized me standing outside the cell speaking with the interpreters and told me that the admiral wanted a medical officer with Saddam constantly. He asked if I would go in and stay the first night with him. I said yes and gathered my thoughts. The shear excitement of the moment was balanced by the realization of the terror and evil this man had produced in his lifetime. I grabbed a worn-out copy of the Stars and Stripes newspaper and walked into his makeshift cell to share in the first night of captivity with the captured King of Babylon." In a vote that didn't get much attention except from those of us who follow these things fairly closely, Lebanon's newly-formed government granted the Islamic fundamentalist group Hizballah the right to maintain its militia forces, and the authority to employ them against Israel. Actually, this was a confirmation of an existing policy which authorized the army and "the resistance" (the Lebanese idiomatic term for Hizballah) to liberate what Lebanon and Syria label as the Israeli-occupied Shaba' Farms. It is fiction - the Shaba' Farms are part of Syria, Israeli occupied yes, but not part of Lebanon. See my earlier article, The Shaba' Farms - Hizballah's Fig Leaf. This decision is in direct contravention of United Nations Security Council Resolution 1701, which ended the 2006 war between Israel and the militia group. The resolution requires that the Lebanese government prevent the re-arming of Hizballah, and further required that Beirut deploy the useless Lebanese army to the country's southern border with Israel to keep Hizballah fighters out of the area. The resolution also expands the mandate of the grossly ineffective United Nations Interim Forces in Lebanon - "interim" since its creation in 1978. Now we have almost double the foreign forces doing nothing in southern Lebanon. The Lebanese cabinet has in effect legitimized Hizballah as a second army inside Lebanon, not unlike the current situation in Iran, where the Islamic Revolutionary Guard Corps are a parallel - and superior - armed force to the regular Iranian military. It is useful to note that is was an IRGC unit in Syria and Lebanon that created Hizballah in 1982. Since the end of the 2006 war and the passage of UNSCR 1701, the Syrians and Iranians have not only completely re-equipped Hizballah in quantity, but have also increased the quality of the group's arsenal. 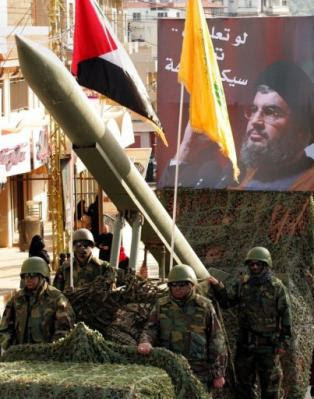 Hizballah's inventory of rockets that was largely depleted in 2006 has been replaced with larger and longer-range rockets. When there are future Hizballah attacks on Israel - and there will be future attacks - rockets will reach farther into the Jewish state, this time not only threatening Haifa, but possibly Tel Aviv as well. The new Lebanese government has been fully co-opted by Hizballah. The new Prime Minister, Sa'ad al-Hariri, has made his deal with the devil. The new Lebanese government includes Hizballah, is very pro-Syrian, and has now thumbed its nose at the United Nations. 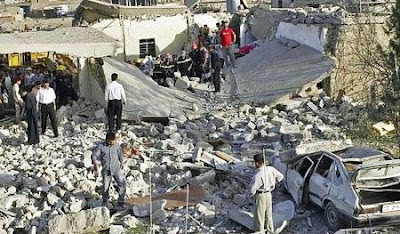 Ironically, it was Syrian-backed assassins that killed al-Hariri's father Rafiq in February 2005 in Beirut. Now he is in bed with the very people who killed his father. Syria, whose 30-year military presence in Lebanon was ended by the "Cedar Revolution" - the public demonstrations that erupted after the al-Hariri assassination, has finally regained its influence over what is called in Syrian slang al-muhafizih (the province). Its primary agents in the country are the Prime Minister and Hizballah. Nothing happens in Lebanon without the blessings of Damascus and Hizballah. Lebanese politics are like that. President Obama revealed his new strategy for the war in Afghanistan in a prime time address tonight. This is how the Taliban's intelligence officers may have assessed his strategies. 1. 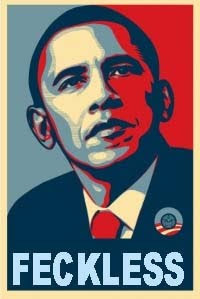 SUMMARY: Infidel Crusader President Barack Obama outlined his new strategy for the continued occupation of our country. As with previous invaders, he has decided to increase the number of troops in the country, specifically 30,000 to be deployed to the Helmand province. He will begin the withdrawal of American forces in 18 months. Victory is within sight. Allahu akbar. a. A military effort to destroy the movement. The first troops of the 30,000 will be U.S. Marines in the Qandahar area. Now that we know they are coming in a month, we will be ready for them. This information is fortuitous - since Obama has told us how many of his troops are to be deployed where, we do not have to recruit an intelligence asset in the extremely corrupt Afghan forces or defense ministry to find out his intentions. b. 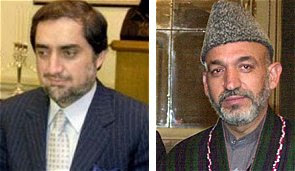 An augmented civil affairs effort and increased cooperation with the traitor Hamid Karzai government. This is really of no concern, as these are soft targets. After a few high-casualty attacks, the American and United Nations do-gooders will rethink their decision. This strategy is of little concern to us. c. Increased partnership with the corrupt regime in Islamabad. This causes our beards to shake with laughter. Obama wants to work both sides of the imposed border that divides the Pushtuns? He will discover that regardless of which side of the imaginary line we are, we are all Pushtuns and true believers. Increased attacks on targets in the Punjabi and Sindh areas will sap any fervor in Pakistan for cooperation with the Americans. Attacks against our al-Qa'idah cousins in the Waziristan area will not be effective, despite the increased use of cowardly unpiloted aircraft. a. TROOP WITHDRAWAL: Crusader leader Obama has provided a date certain when his troops will be leaving our country, another in the long line of nations and empires that have tried to subjugate Afghanistan and the Pushtun people. To our good fortune, thanks be to Allah, the infidels will be gone in 18 months. Excellency, we suggest that you encourage the mujahidin to weather the coming storm while the infidels expend their last effort to subdue the sons of Allah. After we wait out the Americans for a mere year and a half, they too will leave our mountains and we can rebuild the Islamic state we all crave. Now that we have a date when the Crusaders will leave, we can plan accordingly. Victory in Second Jumadah 1432, almost ten years to the day after the glorious al-Qa'idah attacks on New York and Washington! b. AL-QA'IDAH: Obama tends to confuse the efforts of the heroes of New York and Washington with ours. The mission of the initial American invasion was to defeat al-Qa'idah. That meant first defeating us. They believe they have done so, but Shaykh Usamah bin Ladin is still alive, although no longer a guest of us Taliban. He is no longer a guest, he is no longer here. Was the goal of the operation to remove the Taliban? No, it was supposedly about al-Qa'idah. If the mission of the American effort in our country is to defeat al-Qa'idah, we do not understand Obama's orders - al-Qa'idah is no longer here. If we are not a threat to the capitalist regime in Washington, why are they going to increase their troop presence here? We question the president's logic. If he wants to fight al-Qa'idah, perhaps he should focus his efforts in Yemen or Somalia. c. PAKISTAN: Apostate Obama spoke many times about cooperation with Pakistan, yet there seems to be little willingness on the part of the regime in Islamabad to work with the Americans. Our contacts within the Pakistani Inter-Services Intelligence Directorate assure us that any cooperation with the Americans - including the unpiloted aircraft attacks - is from the Punjabis and Sindhs - the Pushtuns remain in our camp. 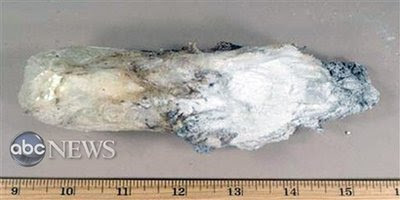 d. CRIMES/LEGAL STATUS: In what can only be assessed as good news for the mujahidin, the apostate leader described the heroic acts of the 19 martyrs of Second Jumadah 22, 1422 (what the Crusaders call September 11, 2001) as "murder." As we had hoped, the new administration views these attacks as crimes. We assess that designation means continued access to the lenient and cumbersome American legal system for any of our captured brethren. We recommend that all of the mujahidin be trained to request a lawyer immediately should they be detained by infidel occupiers, and invoke the right to remain silent. These protections afforded to us by the Americans will only help us to be more effective in our operations since we no longer need to fear compromise of operational information. Obama again committed to the closure of the prison at Guantanamo. Our brothers will soon be moved to the enemy's heartland. It remains to be seen how much access they will have to other detainees, but we hope the brothers will have the opportunity to spread the Taliban and our al-Qa'idah cousins' ideology to other detainees. The jihad continues. e. COALITION RELATIONS: Obama claimed that he had the backing of 43 nations in his fight to destroy our movement. We are puzzled by this. While there are in fact troops from other infidel countries, the bulk of the fighting is done by the Americans, British, Dutch and Polish crusader forces. The Canadians have announced they are "completing their mission" - Excellency, that is diplomatic jargon for withdrawing. Another infidel country has had its taste of Afghanistan and is going home. The Germans are virtually prohibited from combat operations. The other countries? We cannot account for Obama's claims, but if we are taking on 43 countries, where are their warriors? f. DELIVERY: We have analyzed the American president's speeches for the last few years. He is a polished orator, but tonight he lacked the inspiring tone that is his trademark. We assess that two things worked against him - the message and the venue. Obama came to office ready to exit Iraq - what he called the war of choice - and to concentrate on Afghanistan - what he called the war of necessity. That rhetoric has shifted somewhat. Tonight the President spoke more of a cost-benefit-analysis approach to the effort in our country. He talked about what was possible based on the cost, so we need to make his country's sojourn to ours more expensive - expensive in terms of blood and treasure. As with the Inglizi (British) and Russi (Russians), if we make it too expensive, they will leave and we will recreate the true Islamic state. The venue of the apostate's remarks was interesting - the U.S. Military Academy at West Point. The leader was addressing the young men - and yes, Excellency, women - who will be the future warriors of the infidels. It was noteworthy that there was an almost somnolent atmosphere at an institution that produces the fighters of America's wars. The reception afforded the commander in chief was muted at best. g. MISCELLANEOUS: The American apostate made other gratuitous comments about nuclear disarmament (do we have nuclear weapons, Excellency? ), and his outreach to the Muslim world. We note that his "outreach" includes Hellfire missiles and more troops in our Islamic state. 4. CONCLUSION: We assess that the American president, the apostate Barack Obama, is swinging at a goat carcass much larger than his club can handle. He is trying to appease the anti-war crowd that elected him while the reality of his responsibilities is setting in. If Allah wills, Excellency, the Americans will declare "mission accomplished" in 18 months and leave our country. All we have to do is hold on for that period of time and victory is ours. The Islamic Republic of Afghanistan - the truly Islamic state - will resurrect, thanks be to Allah. Another invader will leave and we will progress on the path of jihad. Iran continues to effectively conduct its foreign policy, often at the expense of American foreign policy. In the last few months, the Iranians have virtually halted the West's efforts to stop its uranium enrichment efforts, have consistently delayed the imposition of sanctions, and in their last horse-trading have succeeded in getting a one-on-one meeting between Iranian and American officials. 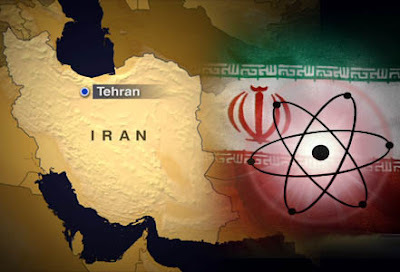 By having the United States back a plan whereby Iran would export 75 percent of its low-enriched uranium for further processing in Russia and France, Tehran has legitimized its uranium enrichment program. Once the Iranians achieved that de facto legitimacy, they immediately began the process to renege on the deal. It's typical of the Iranians - agree, then reconsider and ask for changes to the terms, then agree to talk about the need for more talks. While this diplomatic charade goes on, the centrifuges at Natanz, and soon Qom, continue to spin. When the Iranians talk again, it will be about how much enriched uranium they should consider exporting, not whether or not they should be enriching uranium in the first place. The have in effect gained that right. The Iranians are masters at playing the West. When they agreed to the uranium export proposal, they had no intention of giving up their enriched uranium. 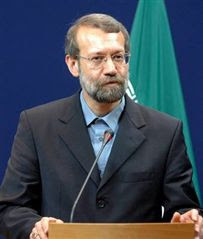 Almost immediately after the agreement was made public, "senior Iranian lawmakers" back in Tehran voiced opposition to the idea and countered that they should not export their uranium for further processing, but instead demanded that the West sell them fuel for the research reactor - I called this "Having their (yellow) cake and eating it too." The much publicized internal Iranian debate is a sham. There is only one voice that counts in Iran and it belongs to Supreme Leader Ali Khamenei. He will make the decision about what Iran will do despite the support or objection of so-called senior Iranian lawmakers. That debate is for show - the Iranians intend to keep their uranium and continue to demand that the West send them even more. If it wasn't so serious, it would be almost comical. 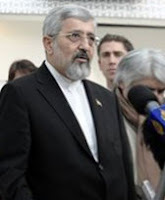 In the last blast of rhetoric from the Iranians, they proposed that the United States and Iran continue to expand their one-on-one dialog, a key goal of the regime in Tehran. This ill-advised dialogue only legitimizes the regime and its nuclear ambitions. The Iranians even went so far as to offer to have Americans present at their nuclear facilities. Clever - the presence of Americans at what may become targets of Israeli military strikes complicates planning in Tel Aviv. In response to the Iranian stalling and demands to purchase uranium, Secretary of State Hillary Clinton waffled, saying she would "let this process play out." She further said that the International Atomic Energy Agency and the five permanent members of the Security Council plus Germany "are all united and showing resolve in responding to the Iranian response and seeking clarifications. We are working to determine exactly what they are willing to do, whether this was an initial response that is an end response or whether it's the beginning of getting to where we expect them to end up." Huh? I thought the Iranians were masters of rhetoric, but Mrs. Clinton has also succeeded in using a lot of words to say nothing. Is she serious? The IAEA is worthless - just take the Iranian issue as an example. The permanent members of the Security Council are united? Has she heard the Russian and Chinese statements opposing sanctions on Iran? While the President and his Secretary of State "let the process play out," Iran continues to effectively pursue its foreign policy objectives virtually unhampered by Washington. Does "play out" mean the announcement that they have a nuclear weapon? According to a new book by Saddam Husayn's lead lawyer Khalil al-Dulaymi, the deposed Iraqi president was planning an escape attempt in 2006. The plan called for Saddam loyalists and other Sunni militants to mount coordinated attacks on American and Iraqi facilities, and eventually overpower the guard force at the detention facility at Camp Cropper and free Saddam. Camp Cropper was one of the primary U.S. Army facilities in Iraq, located near Baghdad International Airport. The facility was used to house high-value detainees, including many former senior Ba'th Party officials. The security around this facility was probably unsurpassed anywhere in the country. The thought that the insurgents would be able to free Saddam Husayn is ludicrous. In most cases, I am not a fan of the death penalty. I also believe that there are unique situations in which execution is not only advisable, but essential. The execution of Saddam Husayn was one of those unique cases where the execution, as I look back, was in fact a good thing. Why do I say that? Saddam Husayn was more that just a deposed dictator convicted of war crimes. Saddam was, and remains, a symbol to his supporters, mostly die-hard Ba'th Party members. The remnants of the Ba'th have been active in the violence directed at Iraqi, American and coalition forces. Are there still Saddam Husayn supporters? Look at this poster (below) in the city of Tikrit, near to Saddam's hometown of 'Awjah and the center of his support base. 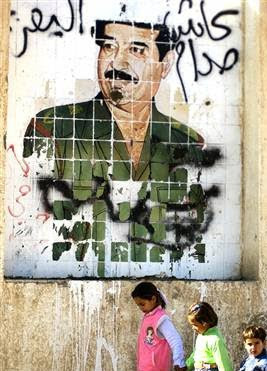 There was an AP caption labeling this a "vandalized poster of Saddam." The use of the descriptor "vandalized" has a negative connotation, giving the impression that this was an anti-Saddam gesture. In actuality, the Arabic graffiti spray painted on the poster reads, "Long live Saddam and the Ba'th [party]." This is a pro-Saddam gesture, exactly the opposite of the reporting. 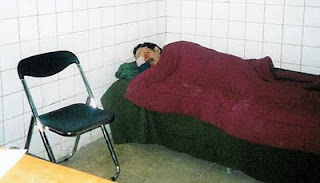 As long as Saddam remained alive - even in a maximum security facility guarded by American troops - there was always the hope that somehow his escape might be possible. In this case, it made sense to quash that hope. Likewise, moving him out of the country would not remove that hope that there was the possibility of his return. There still may be Ba'thi resistance, but Saddam will never again lead the Ba'th Party. All in all, executing Saddam was a good thing. I don't see another solution. Mr. Obama, you must make a decision about the strategy and troop levels in Afghanistan. You must do it now, not in a week, not in ten days, not in a month, but now. American troops are involved in combat operations now - they need to know the plan. Your vacillation, apparent confusion and delays only serve to embolden the enemy and are likely the direct cause of the recent spike in American and coalition casualties. Over 50 American troops have been killed thus far this month. Is there a coherent strategy anywhere in our future? I understand - and fully support - a review of our strategy in Afghanistan. Obviously what we have been doing has not worked. We have been there for eight years - the situation is still unresolved and our purpose for being there is still undefined. I thought you had stated a policy in March - a counterinsurgency aimed at the defeat of al-Qa'idah. You fired the commander of U.S forces in Afghanistan and gave the mission to General Stan McChrystal. You tasked him to tell you what he needed to get it done. General McChrystal, regarded as one of the best counterinsurgency operators in the American armed forces, told you he needed 40,000 additional U.S. troops to accomplish the mission. That was probably not the answer you were hoping to hear. Now rather than give the general the resources needed to accomplish the mission you directed, you have decided to take a breather and re-assess the strategy. One wonders if the mission is dictating the resource allocation, or if the resources you are willing to commit now dictate the strategy. I assume the mission remains the same. In any case, the troops are not taking a break while you decide what the strategy will be. The definition of the mission raises some serious questions that you might consider. Your goals, if I heard you correctly in March, are based on the assumption that al-Qa'idah is still present in Afghanistan, and that presence constitutes a threat to the United States. While you are re-assessing the strategy, you might want to also re-read your intelligence community reports that clearly indicate that except for maybe a few holdouts, al-Qa'idah has moved on to Pakistan and points beyond. 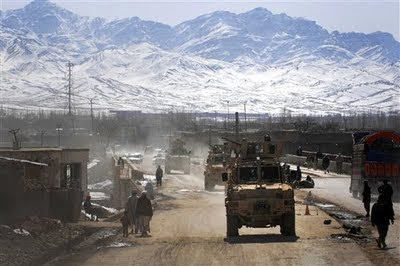 After the mass exodus to Pakistan in late 2001 and early 2002 following their defeat at Tora Bora, many al-Qa'idah fighters moved on to carry on the fight in Iraq and Saudi Arabia. That didn't work out too well for them - eventually U.S. forces in Iraq and Saudi security forces in the kingdom decimated al-Qa'idah's ranks. The remnants appear to have moved on to places like Yemen and Somalia. Wherever they are, it is not Afghanistan. So, Mr. President, just who is the enemy you are seeking to defeat? The Taliban? While the Taliban are a threat to the Afghan government and are now major supporters of the narco-economy of the country, they hardly represent a threat to the security of the United States. The thought that a Taliban-controlled Afghanistan would re-create an al-Qa'idah threat to the United States is a stretch as well. Most of the al-Qa'idah leadership has been killed, captured or marginalized. Their communications, finances and organization are in disarray. Remaining fighters in Pakistan are under pressure from the Central Intelligence Agency's missile strikes and Pakistan Army offensives in the Waziristan area. You could probably prevent al-Qa'idah from returning to Afghanistan by warning the Taliban (or whoever might emerge as the power in Kabul) that if al-Qa'idah returns, so does massive American air power. In any case, Mr. President, now is the time to fish or cut bait - you have had more than ample time to make up your mind. You can conduct the counterinsurgency you ordered, or you can re-direct the strategy to that of counter-terrorism. Either will keep America secure, but you have to make a decision. The Taliban, al-Qa'idah and any other groups that wish us ill need to know that you can make a decision and then order the appropriate action to execute it. Until you make that decision, there will likely be increased attacks on American troops in Afghanistan. The Taliban wants you to re-focus your efforts on a counter-terrorism strategy aimed at al-Qa'idah in the region - that includes Pakistan - rather than on a counterinsurgency beefing up American troop presence in Afghanistan. While that is a reason in itself to not to go with a change in strategy, the bottom line remains that the Taliban is not the real enemy. Either way, Mr. President, make a decision. Our troops deserve clear direction and adequate resources. Do it now. 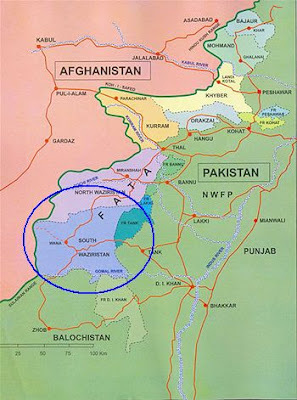 The long-awaited and much-anticipated Pakistani military offensive against Taliban elements in South Waziristan (blue circle on map below) kicked off on Saturday. The Pakistani leadership has finally realized that there is no negotiating with the Taliban - they have to be hunted down and killed. Over the last few weeks, there has been a spate of violence in Pakistan as Taliban militants attempted to convince the public to force the Pakistani leadership to call off their publicized major offensive into the tribal area of South Waziristan. Actually, the plan backfired - all the militants succeeded in doing was galvanizing public opinion and the conviction of the military leadership that such an offensive was essential. There has been a slow awakening in Pakistan since the Taliban moved closer to the non-tribal areas, such as the attacks in the Swat Valley late in 2008 and earlier this year. In that operation, the Pakistanis entered into a ceasefire with the Taliban after allowing the Taliban to impose Sharia' law in the region. The Taliban did not abide by the agreement and the Pakistanis had to launch an offensive to oust the Taliban from the area. Swat Valley was a wake up call for the Pakistanis that the Taliban are not content to remain in the autonomous Federally Administered Tribal Areas - Swat is in the North West Frontier Province, which falls fully under Pakistani sovereignty. It also demonstrated to the Pakistanis that the Taliban cannot be trusted. Agreements, ceasefires, truces - these are only tactics to be used to regroup and re-arm. The Pakistanis have committed two army divisions to this fight, with air support. It began with a three-pronged assault deep into South Waziristan, the redoubt of numerous Taliban and al-Qa'idah fighters, including chief of the Pakistani Taliban Hakimullah Mehsud and possibly al-Qa'idah leader Usamah bin Ladin himself. The terrain is forbidding, and the Taliban and its Arab and Uzbek allies are tough and committed fighters. This will be a costly fight for the Pakistan Army in terms of casualties, but a necessary fight if the central government is going to defeat this threat to its very existence. The Taliban militants don't want just to be left alone - they want to impose their own fundamentalist Islamic belief system to what already is an Islamic Republic. Hopefully, the Pakistanis will execute this offensive to a successful completion rather than fighting for a short period of time, then entering into a ceasefire agreement that never holds. They did this in 2004, 2005 and 2008 - it just does not work. Maybe this time will be different. Maybe this time the Pakistani intelligence service - riddled with Taliban and al-Qa'idah sympathizers and supporters - will not be able to convince the leadership to negotiate. As I have said before, you cannot negotiate with these people. You have to hunt them down and kill them.